Remember when flying used to be a glamourous affair? When passengers would dress like Don Draper and Joan Harris to eat fine food at 32,000 feet? No, me neither, but, looking at photographs of air travel in the 1960s, it certainly looked more civilised than it does nowadays. Now, unless you’re travelling first or business class, we’re herded like cattle through check-in and body scanners, asked to take off our belts and shoes, and told to be at the airport three hours ahead of a flight so we’re trapped in the airport’s shopping mall (sorry, for “security” reasons). Is it any wonder that the “staycation” appeals? Of course, when air travel became more affordable, the seats got smaller, the world got smaller, and the passengers became more varied than only the super-rich, but there’s a glamour about Mid-Century air travel and in particular modernist airport terminals that’s been sadly lost. From the TWA terminal at JFK to the Theme Building at LAX, airports looked space age to embody the excitement of taking off to far-flung destinations. 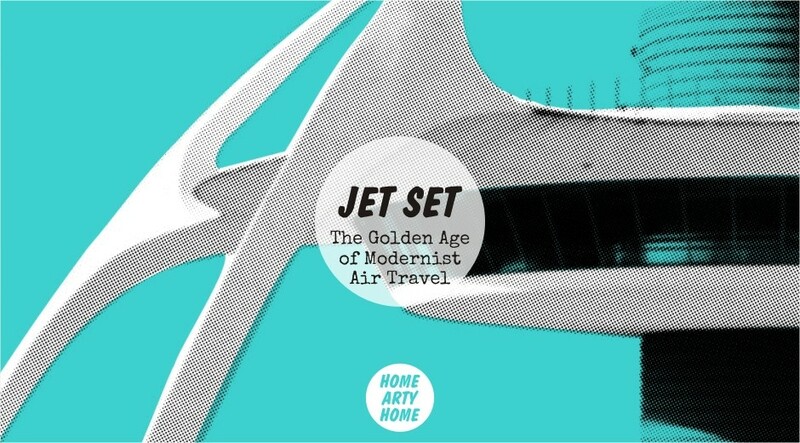 Take a look at these art prints at Etsy that capture the feel of supersonic 1960s style including Art & Hue‘s jet set pop art prints of airplanes and airports, and Linda Tillman‘s prints from her amazing paintings that look like they’re rare art finds originally from the 1960s. 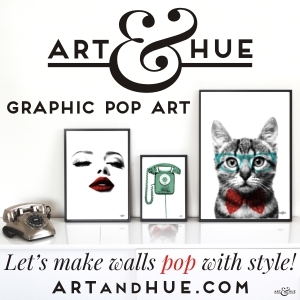 Art & Hue Jet Set prints.